you need to make your dish and follow the instructions on each recipe card. After that first week we were hooked. We signed up to get it delivered once a week soon after, and have fallen in love with it ever since. Not only do you get a well-balanced meal for a reasonable amount of calories, all the ingredients are fresh and seasonal and locally sourced. The packaging is recyclable, and there's barely any waste because they send you exactly the amount of food you need to make the dish. 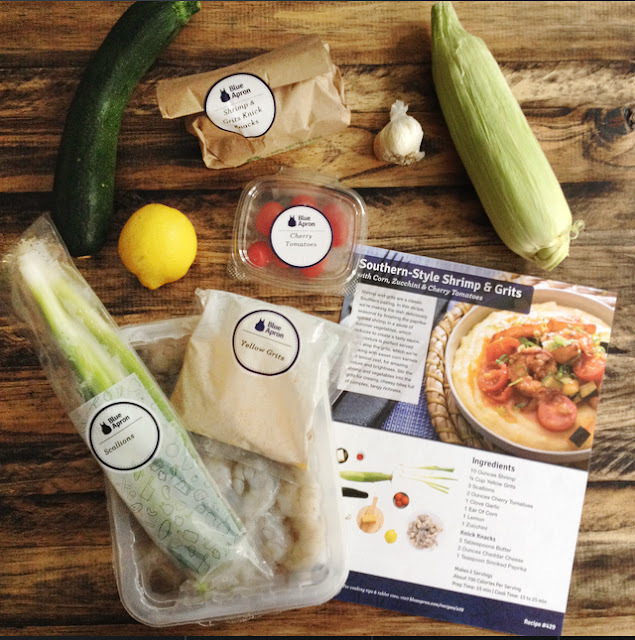 My favorite thing about Blue Apron is that the meals we receive are not necessarily something that I would go and pick out and choose to make, but it's fresh and adventurous enough that every meal is a new experience. They find ways to incorporate fresh ingredients that I would have no idea otherwise how to use in a meal, and so far we've not seen repeat recipes (and they're all available online!). So for $60 a week we're getting three meals for two people, a bunch of recipes, and the ability to recreate those recipes later for ourselves or our family and friends. 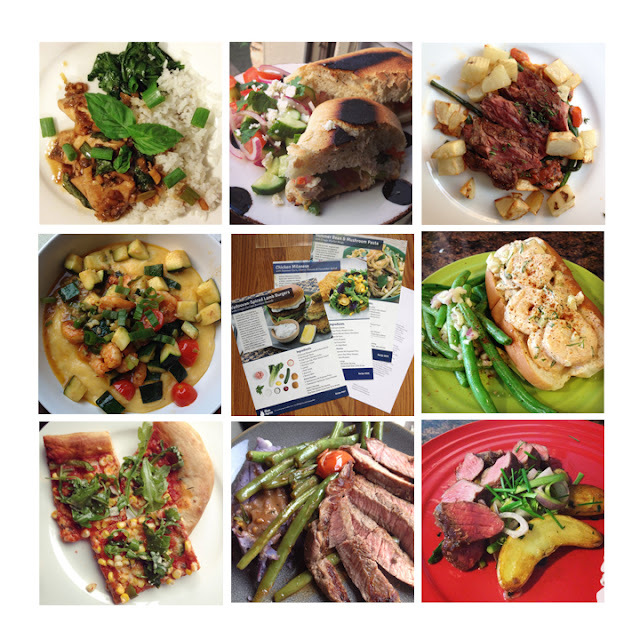 At first I thought it might be a little expensive, but when you break it down, it's only $10 a meal per person, access to fresh ingredients and unique recipes, and it saves you a trip to the store, gas to the store, and all that time trying to balance healthy meals for the week. It reins in spending on meals to a consistent level, allowing us to save. They let you set your delivery date so you can be sure to be there when it arrives, and they allow you to cancel a week in advance, so when we went to Maine we cancelled for the week because we didn't want the food to just sit there in the mail room. I'm always excited to see what will be coming each week; they let you know ahead of time, and I'm always checking online to see what's coming for the next week. Right now I'm dreaming of the Southern Style Shrimp and Grits that's going to arrive on my doorstep within the hour! So check it out online at blueapron.com or contact me privately, we apparently are accruing free meals to send to our friends who haven't tried it yet! 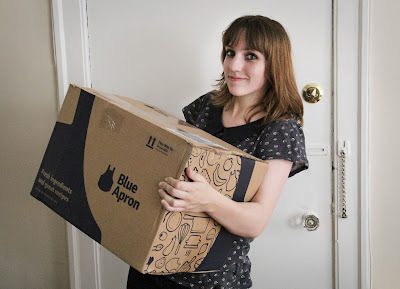 Also, I'd like to note, this post is not sponsored, we just really love Blue Apron, and it has made the meal planning aspect of my life so much easier; I pretty much have not found a downside to Blue Apron yet!